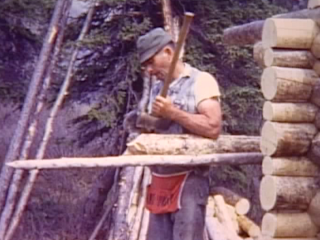 Before he retired, Proenneke had been a cattle ranch hand, a commercial salmon fisherman, a diesel mechanic, and a carpenter. 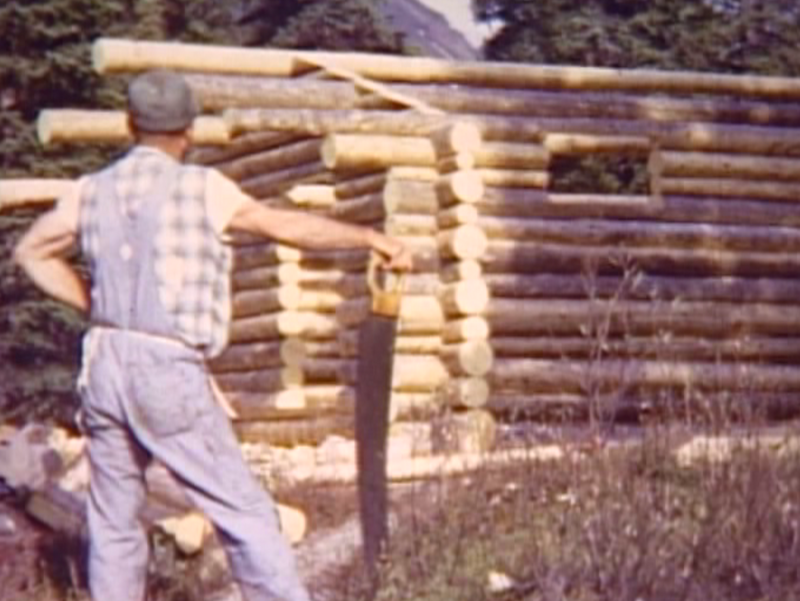 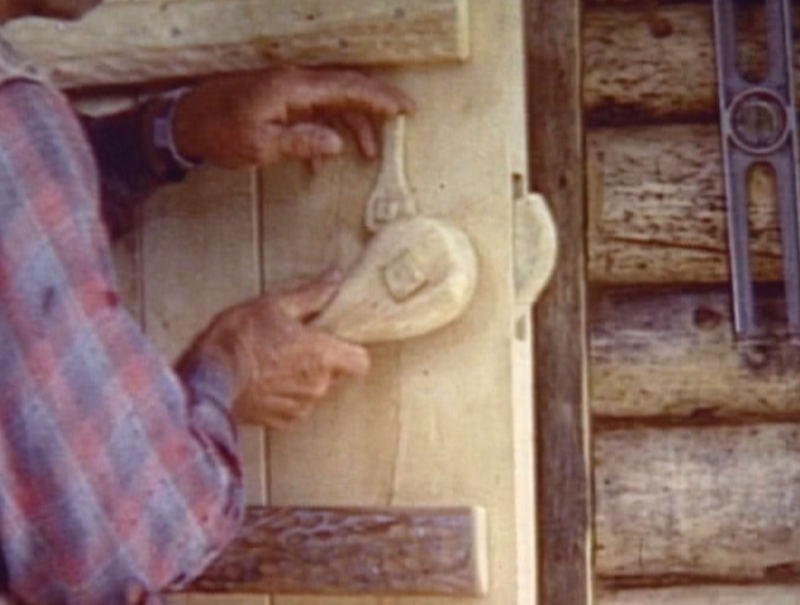 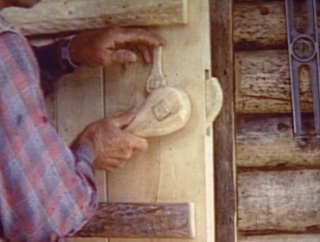 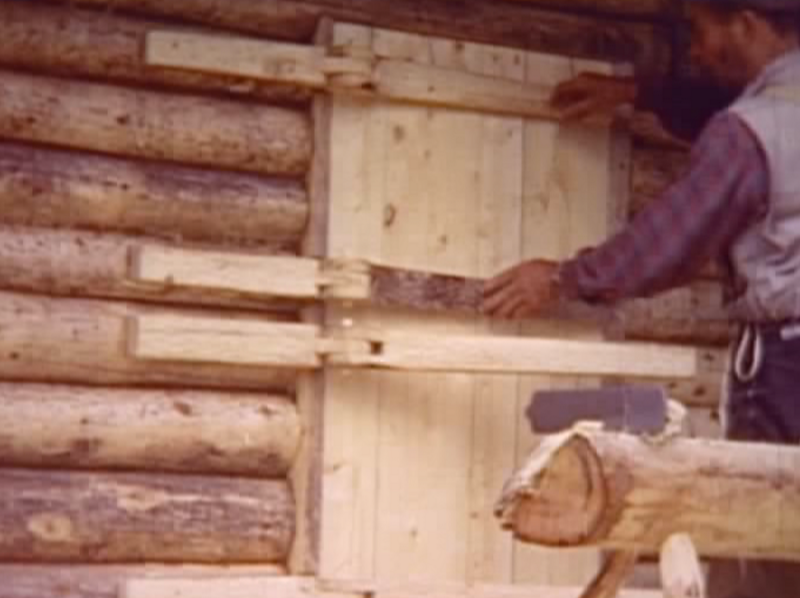 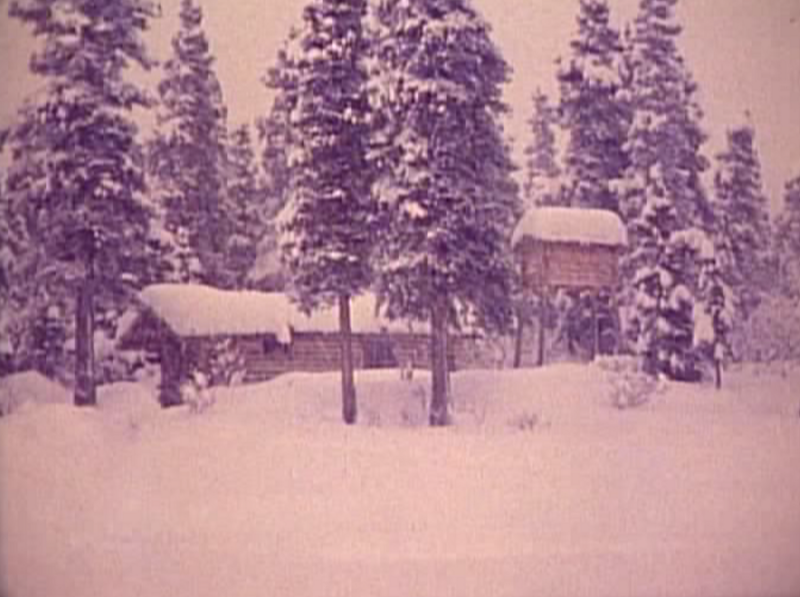 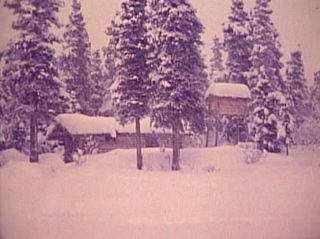 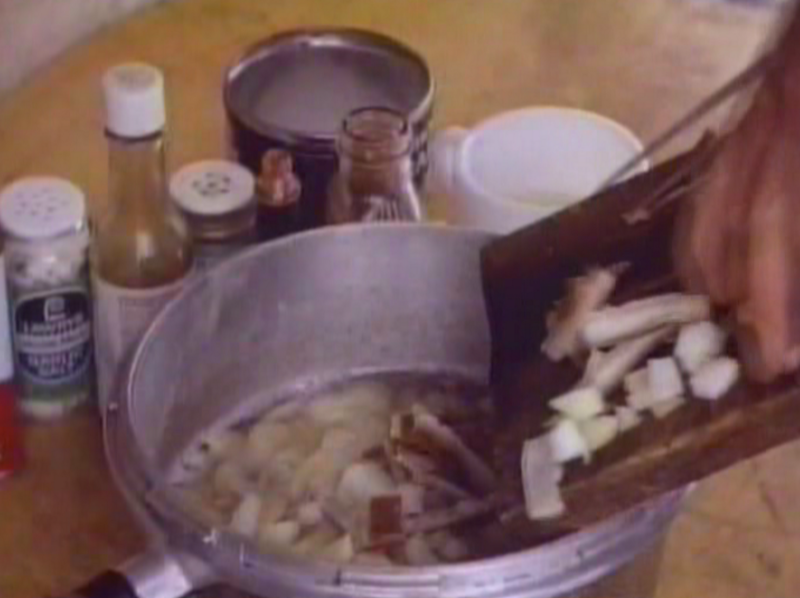 When he got to Alaska, he built his own cabin from materials he found in the wilderness. 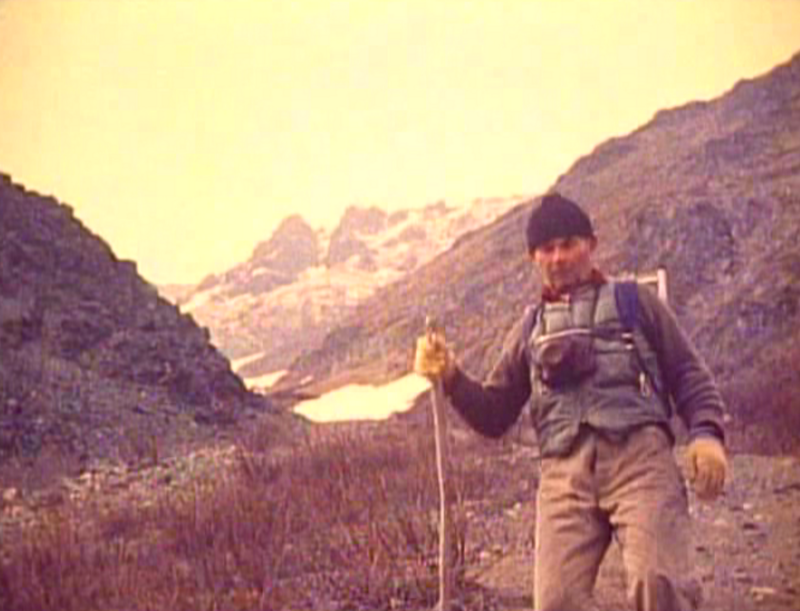 One of the most interesting things for me to think about now is the process and intentions behind Proenneke's documentation of this experience. 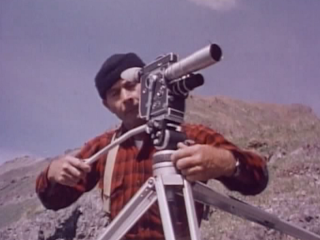 He lugged a heavy tripod, camera, and film with him to document some of his efforts, and after setting up the camera he than "acted" out what he intended to film, then returned to the camera, packed it up, and brought it to the next spot for filming. I don't mean to diminish how badass this guy was. 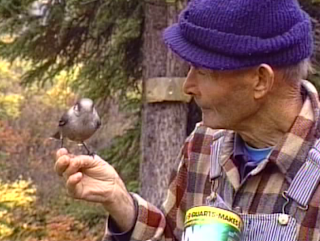 I first encountered him as a still-living contrast to the foolish Christopher McCandless I had just read about in Jon Krakauer's Into the Wild, whose dangerous idealism seemed too much like my own. 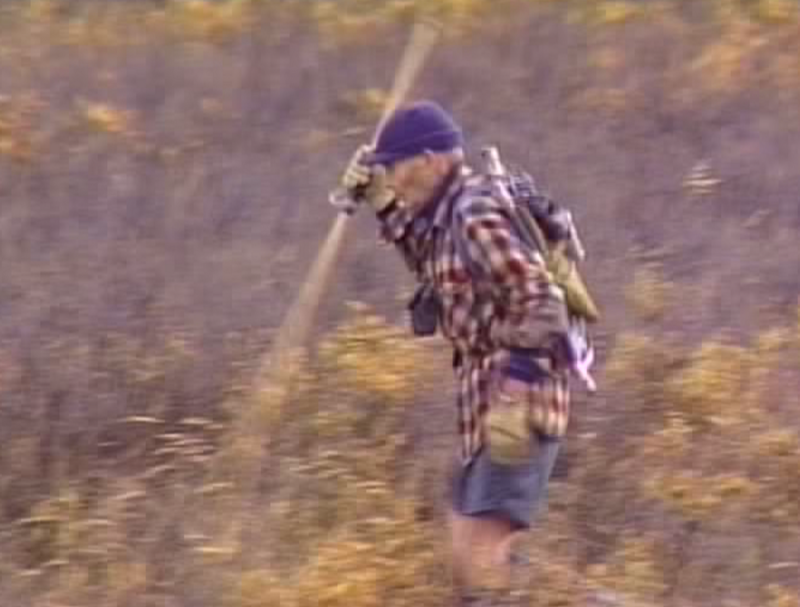 But I thought of him also when I saw Werner Herzog's Grizzly Man, and all those stitched together shots of that effeminate fool Timothy Treadwell setting up his camera and tripod and showing off for the camera. 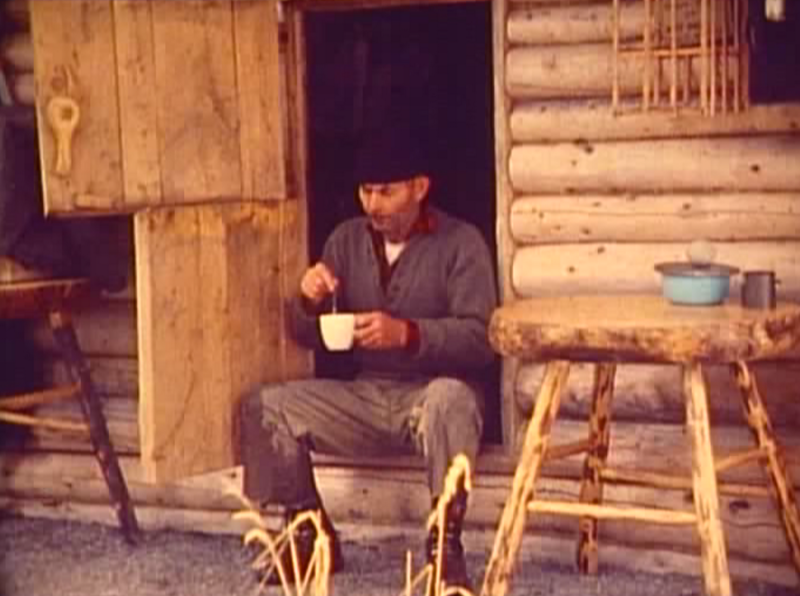 Not so different from Proenneke, in some ways. 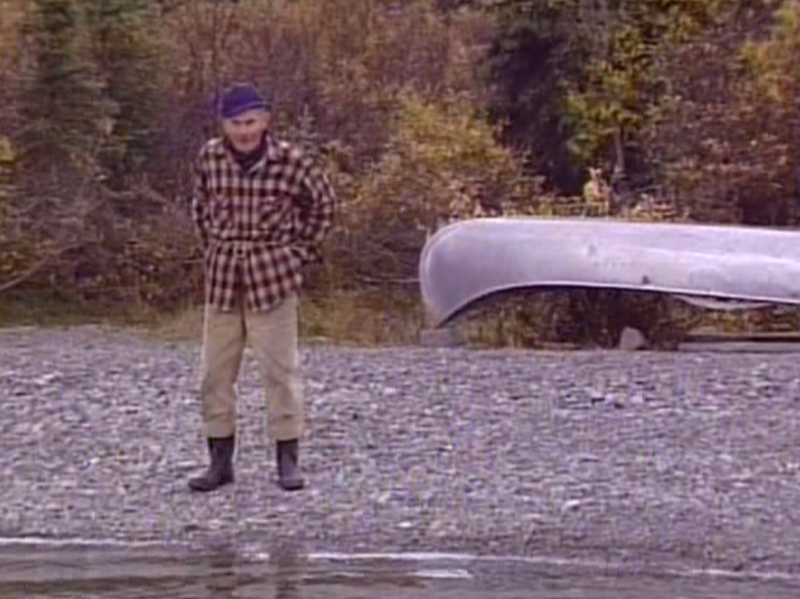 But so different in so many other ways. 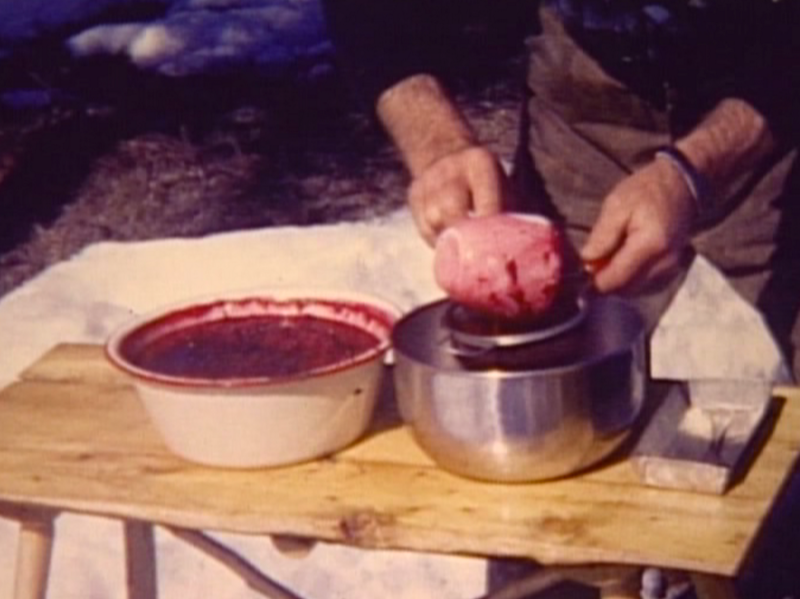 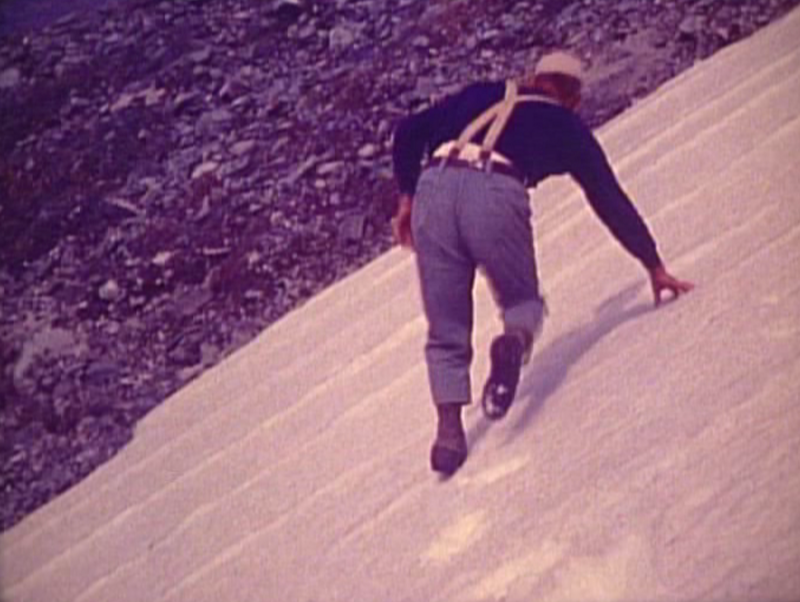 Proenneke left detailed journals, still photographs, and of course his films. 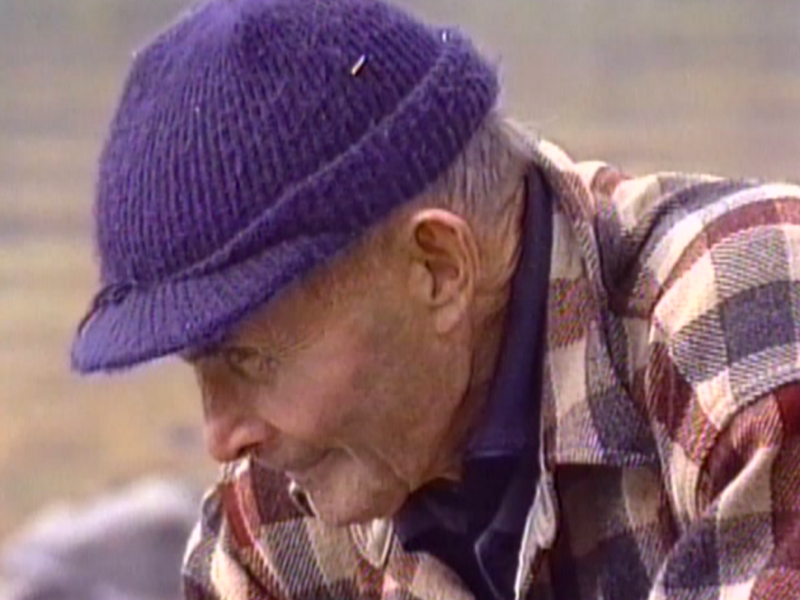 I greatly appreciate that he took the time to document his life so that we can understand it today, but what we see or read about was surely only a tiny fraction of the thirty years he spent at Twin Lakes. Proenneke has always reminded me a bit of my own grandfather who died around the time I became aware of the naturalist still living in the Alaskan wilderness. They were about the same age and looked a lot alike. 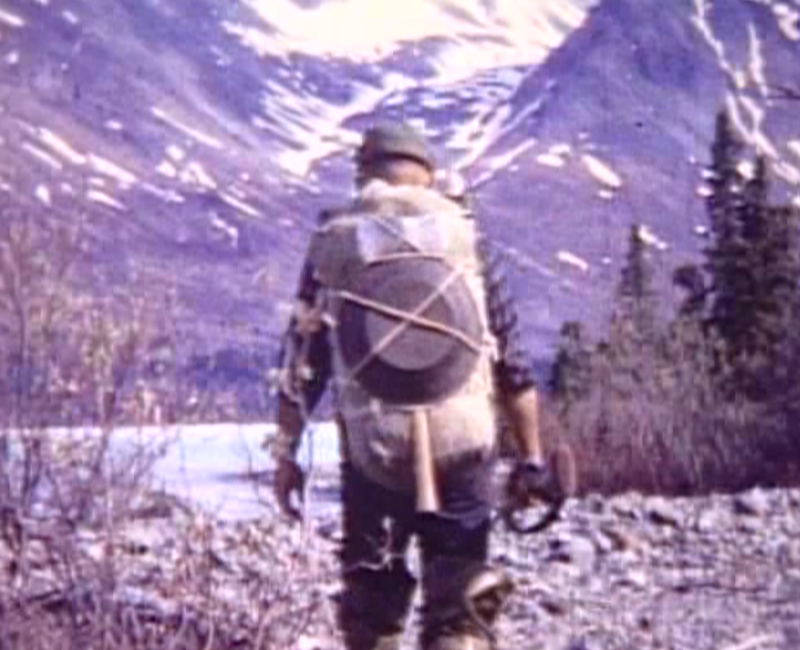 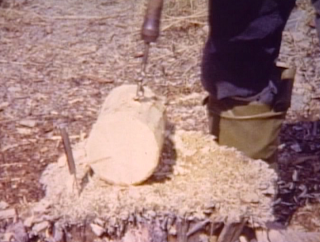 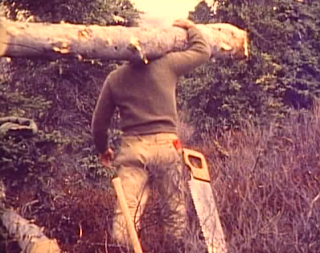 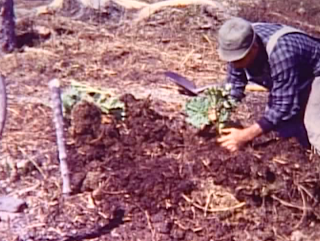 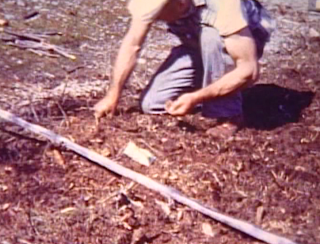 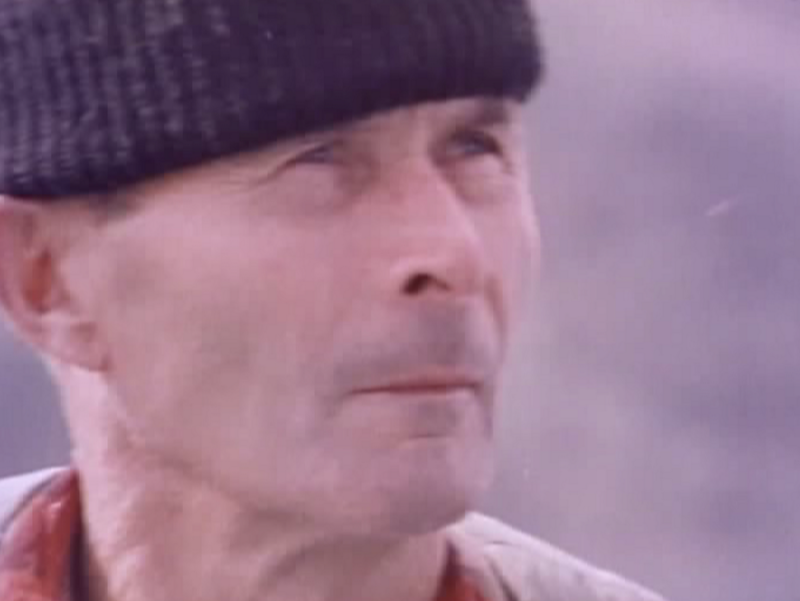 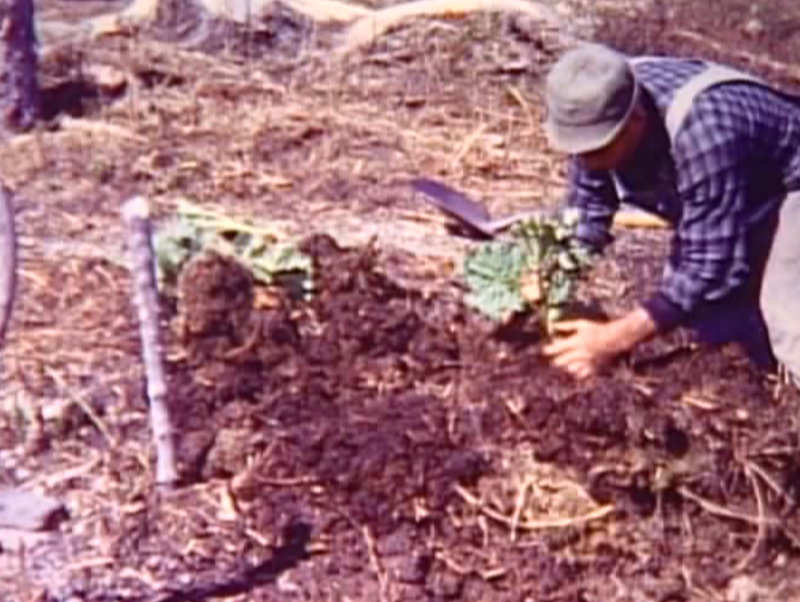 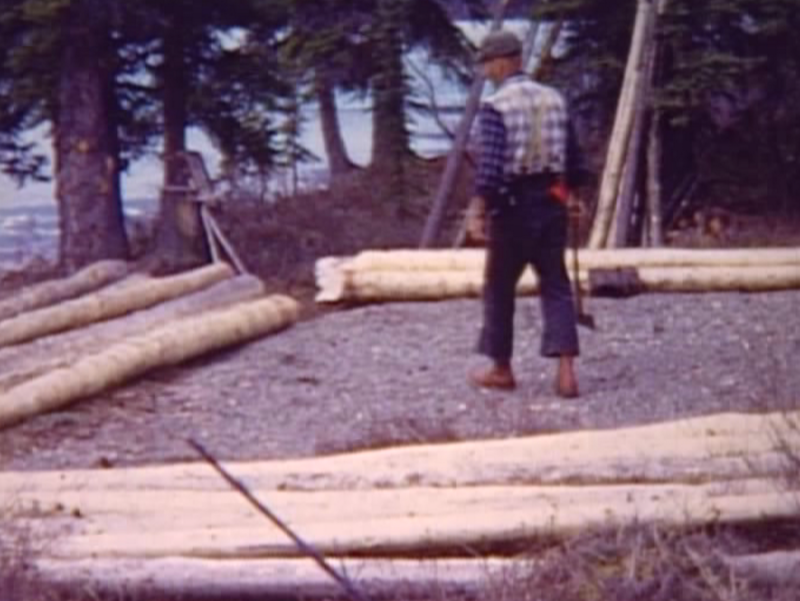 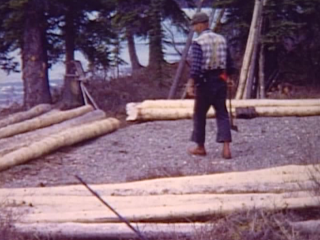 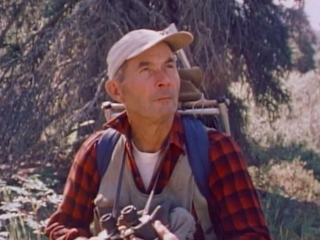 My grandfather was a carpenter and an avid outdoorsman and he had a lot of great clothes that looked just like the ones Proenneke wears in his early movies. 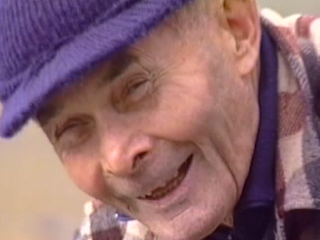 I guess I like to idealize that generation a bit: the men who fought in the ruins of Europe and came home to try to forget it and build their own country into the strongest on Earth (when I asked my grandfather about his experiences in Italy, he complained about it as a filthy country where people pissed in the streets and in the forum). These were men who still built things. 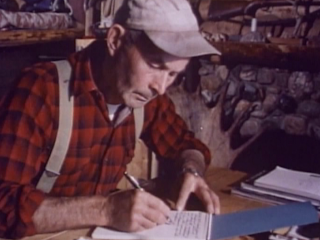 Proenneke is an extreme example, but I can't help but find his work and life extremely inspiring. 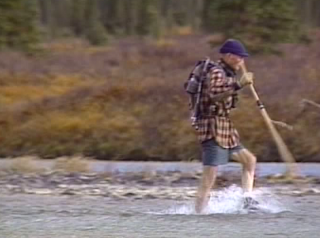 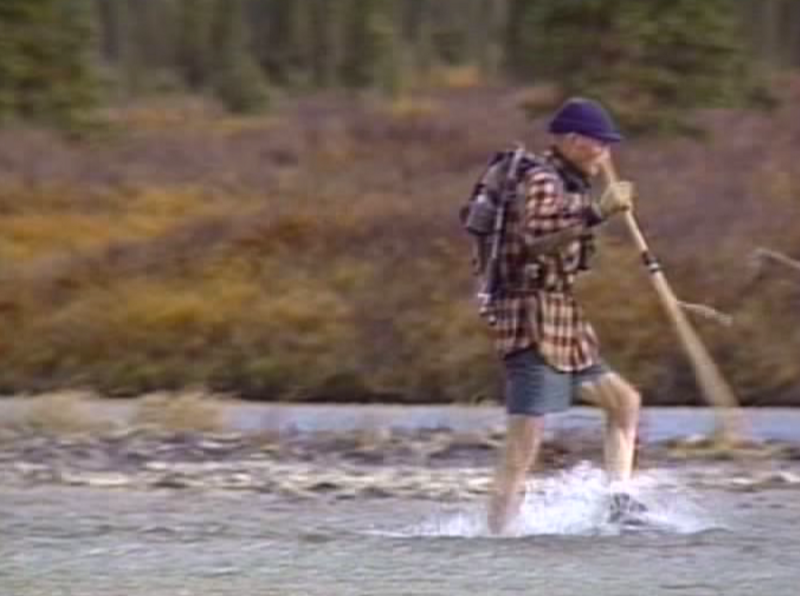 To retire at age 52 and do what he did, to live the next 30 years (reportedly without getting sick once) in a house he built himself in the Alaskan wilderness is pretty damn inspiring, even if your fate doesn't involve conquering any wilderness.